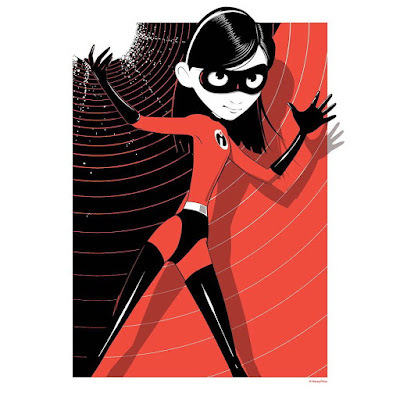 Cyclops Print Works will be releasing this awesome The Incredibles screen print by Craig Drake featuring Violet this weekend at MondoCon 2017 (November 4-5) in Austin, Texas! The Blot loves Drake’s work and it’s always fun to see his take on a new character from pop culture. Collectors can purchase this awesome officially licensed Disney print at the CPW MondoCon 4 booth!